Among those influenced by Hegel was a group of young radicals called the Young Hegelians, who were unpopular because of their radical views on religion and society. They included Ludwig Feuerbach (1804–72), Bruno Bauer (1809–82) and Max Stirner (1806–56) among their ranks. 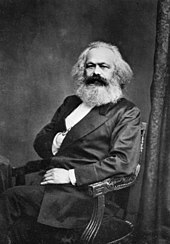 Karl Marx (1818–83) often attended their meetings. He developed an interest in Hegelianism, French socialism and British economic theory. He transformed the three into an essential work of economics called Das Kapital, which consisted of a critical economic examination of capitalism. Marxism became one of the major forces on twentieth century world history. 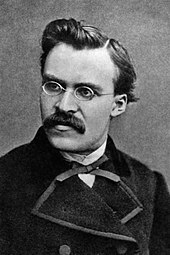 Friedrich Nietzsche (1844–1900) was initially a proponent of Schopenhauer. However, he soon came to disavow Schopenhauer's pessimistic outlook on life and sought to provide a positive philosophy. He believed this task to be urgent, as he believed a form of nihilism caused by modernity was spreading across Europe, which he summed up in the phrase "God is dead". His problem, then, was how to live a positive life considering that if you believe in God, you give in to dishonesty and cruel beliefs (e.g. divine predestination of some individuals to Hell), and if you don't believe in God, you give in to nihilism. He believed he found his solution in the concepts of the Übermensch and Eternal Recurrence. His work continues to have a major influence on both philosophers and artists. 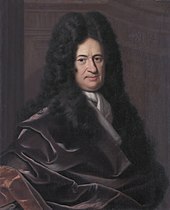 While some of the seminal philosophers of twentieth-century analytical philosophy were German-speakers, most German-language philosophy of the twentieth century tends to be defined not as analytical but 'continental' philosophy – as befits Germany's position as part of the European 'continent' as opposed to the British Isles or other culturally European nations outside of Europe. ^ "Foundationalism and Hermeneutics". www.friesian.com. Retrieved 22 March 2018. ^ Mantzavinos, C. (22 June 2016). Zalta, Edward N. (ed.). The Stanford Encyclopedia of Philosophy. Metaphysics Research Lab, Stanford University. Retrieved 22 March 2018 – via Stanford Encyclopedia of Philosophy. Sassen, Brigitte. 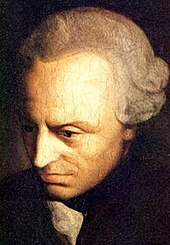 "German Philosophy in the 18th Century Prior to Kant". In Zalta, Edward N. (ed.). Stanford Encyclopedia of Philosophy.